We are always so inspired by the creativity of our fellow bloggers! We have seen some amazing St Patrick’s day activities for kids for kids over the last month that have us pining away for the warm, muddy days of spring! One of the surest signs of the season? The arrival of St. Patrick’s Day!! 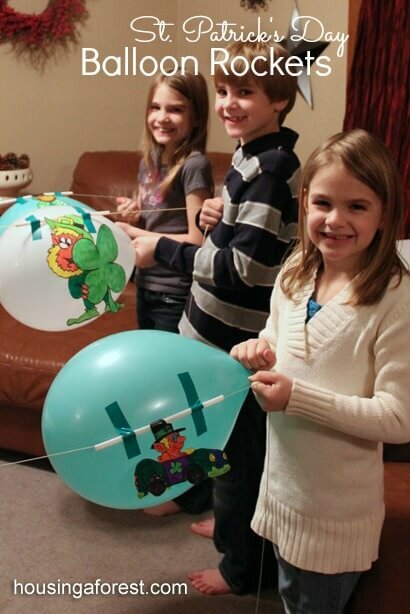 We thought it would be fun to do a quick round-up of great St. Patrick’s Day activities for kids that could surely be carried over into our therapy sessions for some mean (and green!) motor development! 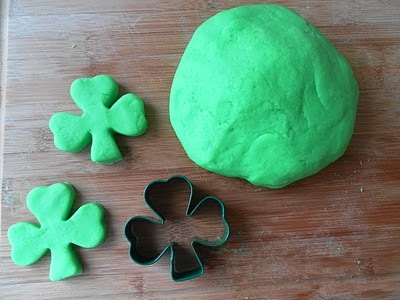 ROCKABYE BUTTERFLY made this green playdough! Not only is it an obvious choice for fine motor fun, but they used green lemon-lime Kool-Aid making this quite a sensory experience as well. LOVE IT!! Michelle at SASSYDEALZ has another creative fine motor activity. 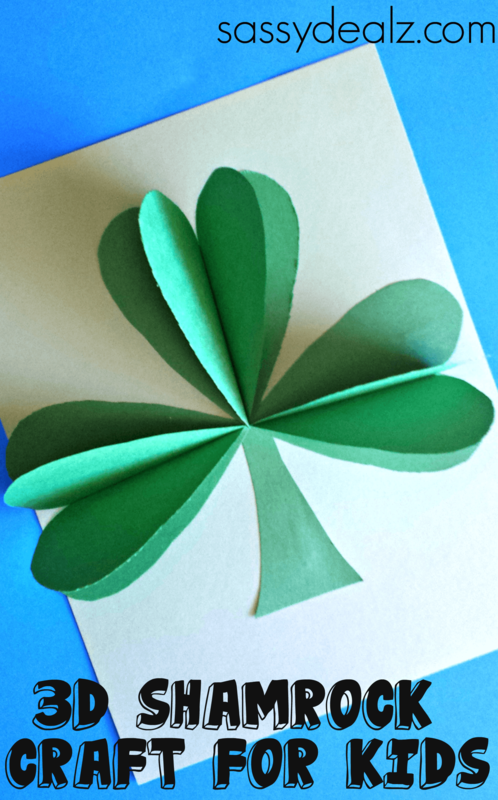 These shamrocks would be so pretty hanging up as a decoration and would have your kiddos cutting, folding and gluing all afternoon! We found this sweet blog — it may be the prettiest blog I have seen lately — on Pinterest. 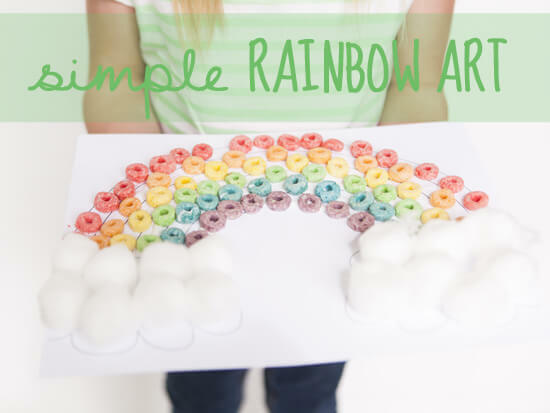 SWEET LITTLE PEANUT has a free printable and very cute idea for a rainbow craft for even the littlest of kids. HOUSING A FOREST hit the gross motor mark with these racing leprechauns! Can you believe how creative this is?? 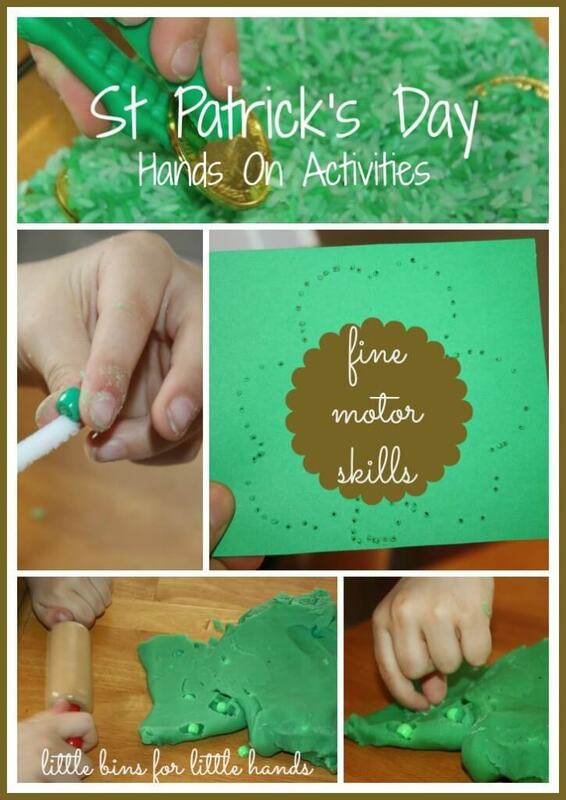 I am totally using this one at school…the best part, Claire and Pam can get their fine motor goals addressed by making the leprechauns and then I can hit the bilateral coordination, balance and motor planning by having the kiddos blast them across the room. BRILLIANT, Tammy!! 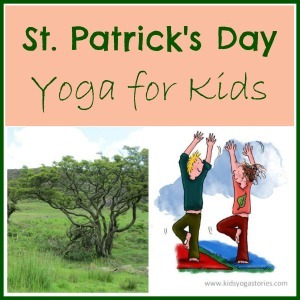 KIDS YOGA STORIES has a St. Patrick’s Day yoga series that they describe as being inspired by the “flora and fauna of Ireland”! What a fantastic way to get some whole body movement in! LITTLE BINS FOR LITTLE HANDS has a some great sensory ideas for the holiday that celebrates the green! 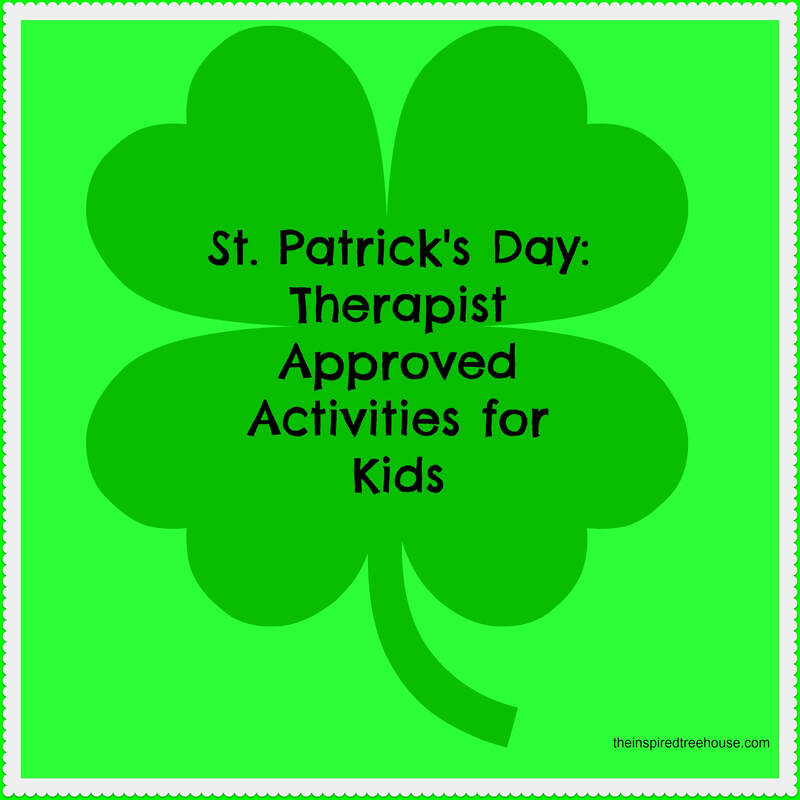 Kiddos can search green playdough for beads, search for gold coins in a sensory bin, and paper punch a shamrock using their SUPER FINGERS! Love it!